Week 3 of the 2018 AFL New Zealand Youth Competition wrapped up in Auckland, Wellington and Christchurch this weekend where there were some silky smooth skills on display in all three regions. 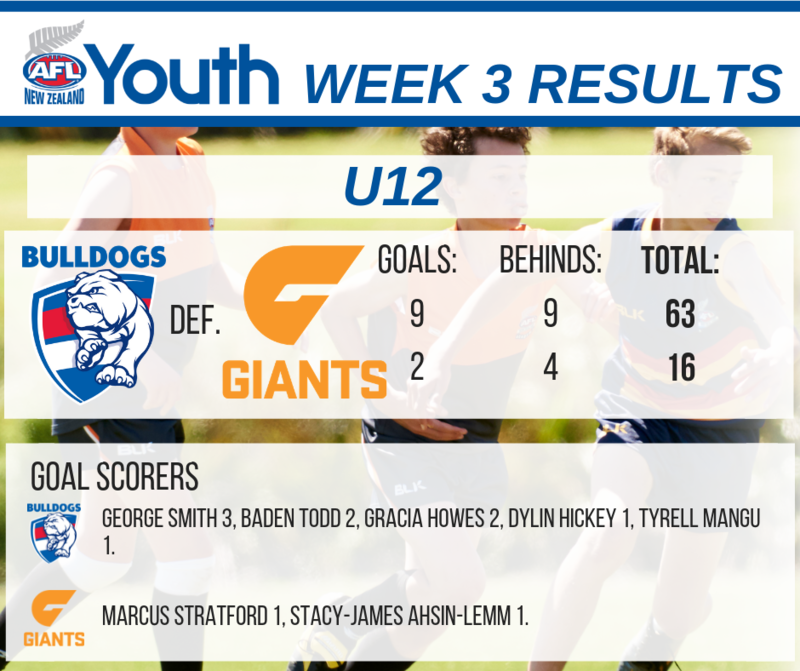 In Auckland, The under 12 grade saw the Bulldogs defeat the Giants by 8 goals in a brilliant display of footy. Young Marcus Stratford was awarded his first player of the day award for the Giants along with Gracia Howes for the Bulldogs. The U15’s were a much closer affair with the Lions winning their game by 13 points. 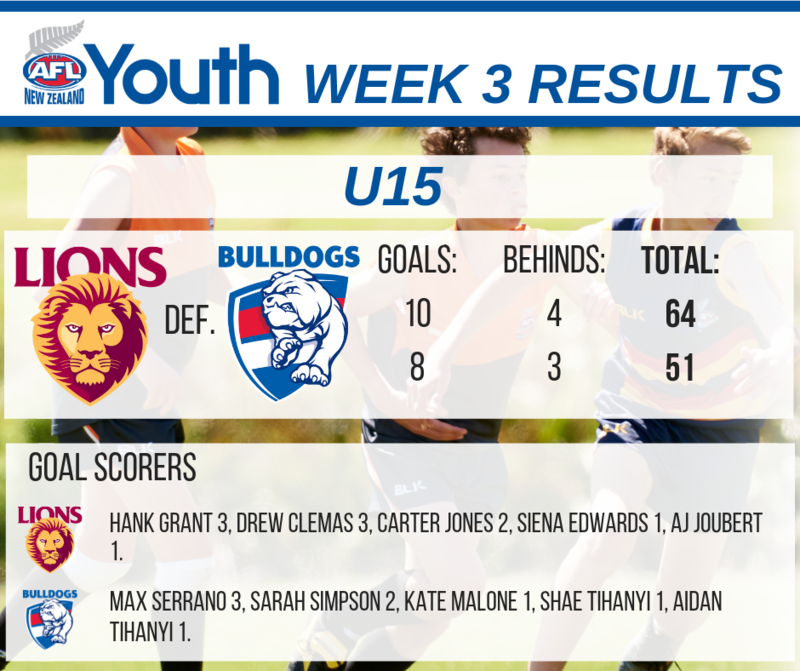 Max Serrano kicked another three goals for the Bulldogs while Hank Grant and Drew Clemas dominated for the Lions to kick six goals between the pair. 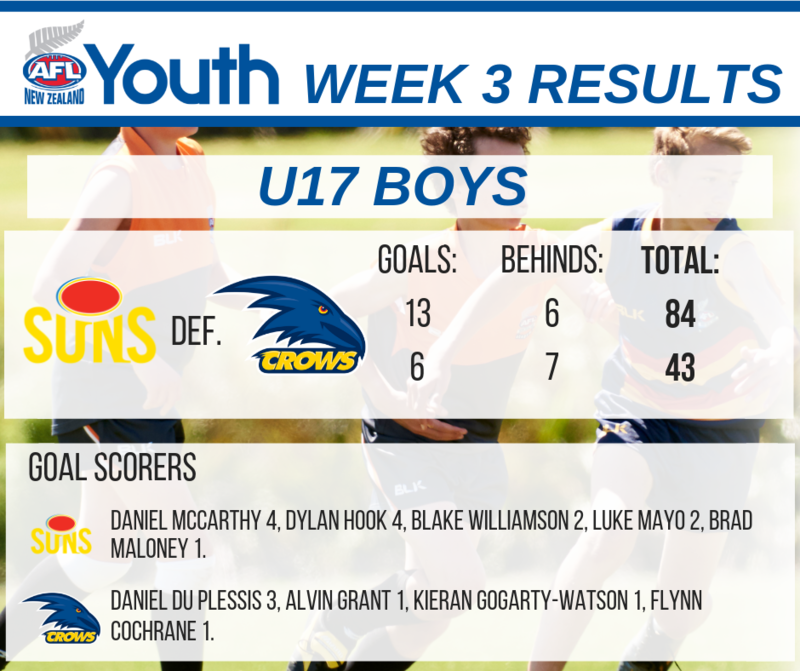 Northlanders Dylan Hook and Blake Williamson took charge for the Sun’s in the U17 competition as they secured a seven goal victory over the Crows. 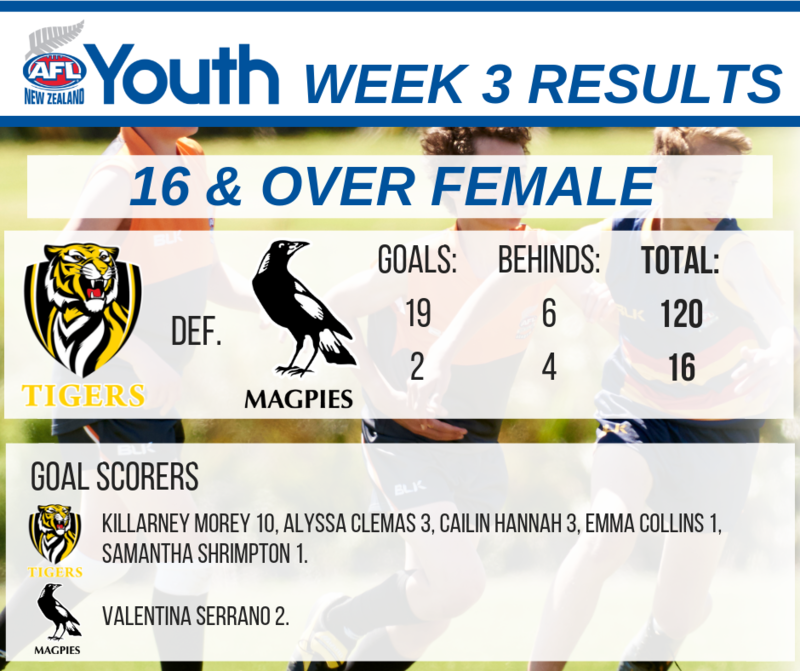 In the 16 & Over Female grade, it was a stellar performance from Killarney Morey as she slotted ten goals for the Tigers and they romped to a big 104 point win over the Magpies. 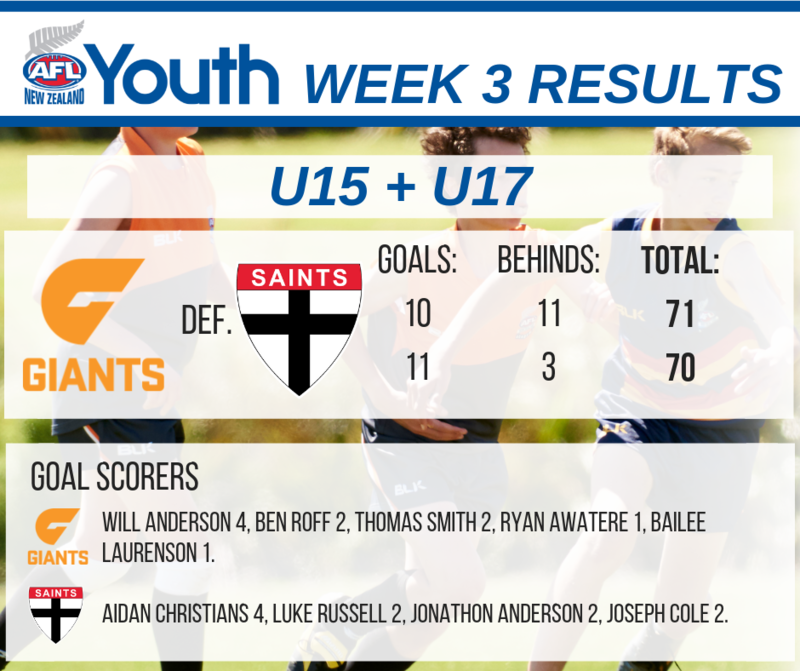 In the Captial, the U15’s and U17’s combined and played out a one point thriller with the Giants securing the victory. 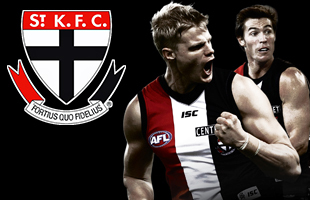 Aidan Christians and Luke Russell Anderson starred for the Saints while Will Anderson kicked four goals for the Giants. 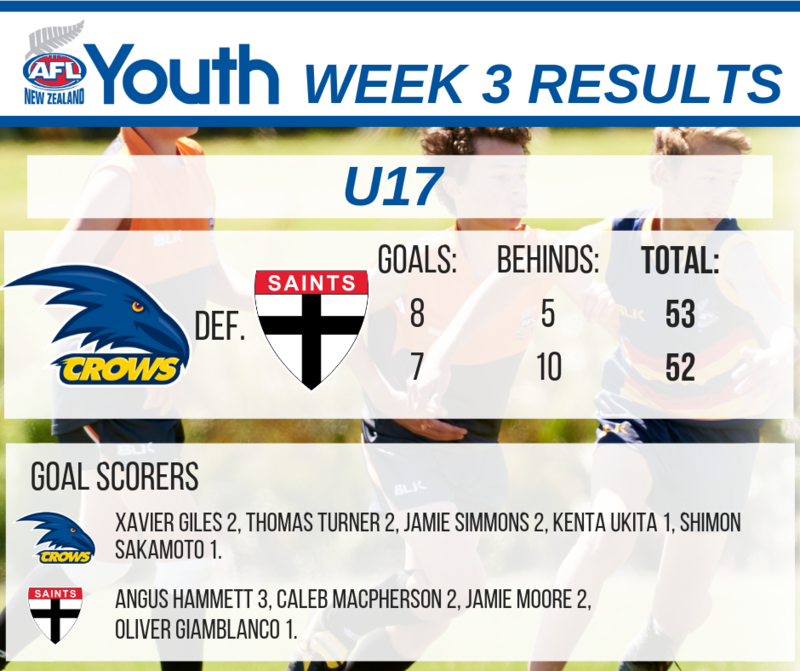 Down in Canterbury, it was another close game in the U17 grade as Tom Turner and Xavier Giles sealed a one point win for the Crows. Angus Hammett continues to develop as he kicked another 3 goals for the Saints. 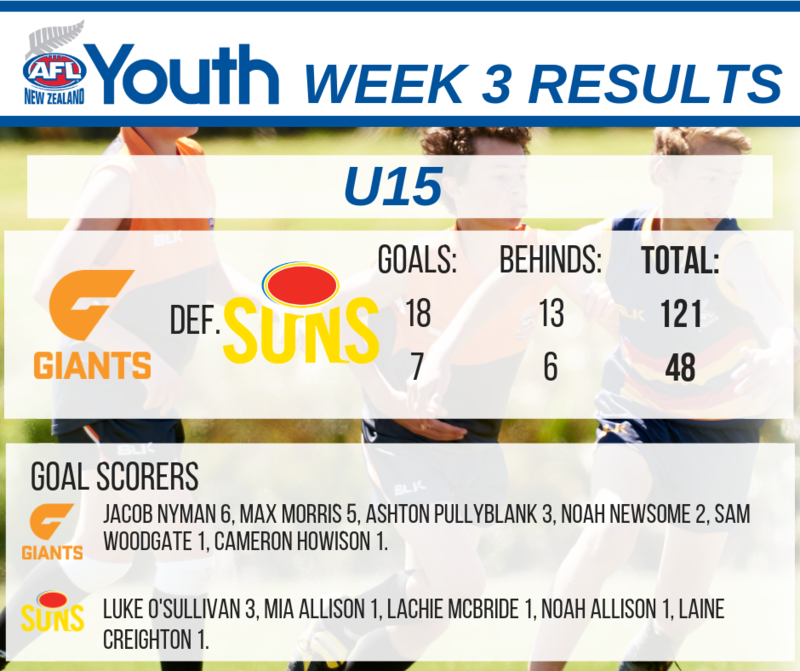 The Giants scored another big victory in the U15’s where Jacob Nyman and Max Morris combined to kick eleven goals.